MLK Weekend is over and expected front runner Glass came in first, but with lower results than predicted. At $47 million over four days, Universal and Blumhouse's psychological thriller fell short of the $60 million debut analysts had projected for it but was still comfortably in first place on the domestic chart. Glass is the third installment in a psychological thriller turned horror trilogy from M. Night Shyamalan that's taken nearly twenty years to complete. Beginning with Unbreakable, a sort of anti-genre superhero film released in the year 2000, Shyamalan's Eastrail 177 trilogy lay dormant for more than fifteen years before Split was released in 2017. This week's box office champ brings the main characters from the two films together and sets up a showdown between the two film's villains and Unbreakable's hero, David Dunn, played by Bruce Willis. 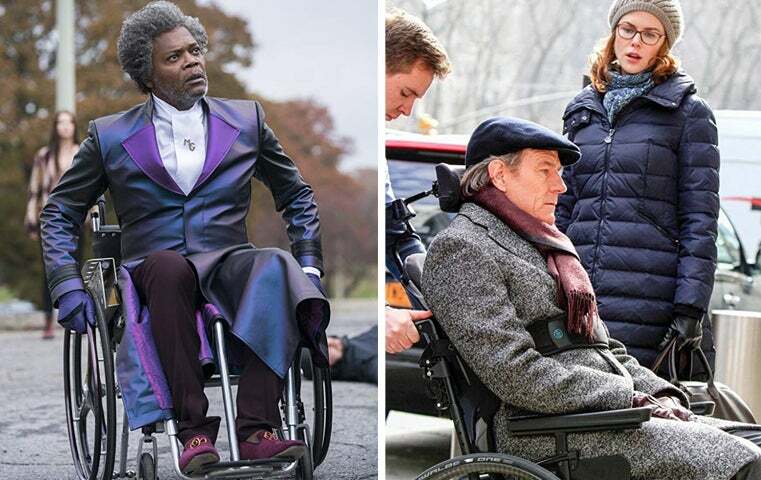 Samuel L. Jackson plays the title character Mr. Glass, a criminal mastermind with brittle, breakable bones that leave him wheelchair bound. He finds himself locked up in a mental institution with Split's villain, a man with 23 severely split personalities, which among one is an adrenaline supercharged mass murderer, known as the Horde and played by James McAvoy. Overseas Glass has picked up $48.5 million, giving it a global opening cume of $95.6 million. Top markets so far are Russia at $5.2 million, Mexico at $4.5 million, and the UK at $4.3 million, and it’s at number one in each of these. As of now, Glass is tracking 13% ahead of Split, which made $278 million worldwide. At $20 million, its budget is high for Blumhouse's standards, and marketing has been heavier than for most of the horror house's films, but the risks have paid off and the future looks bright for Glass. Reviews and audience reactions have been strong and it won't have a direct competitor released until Valentine’s Day when Robert Rodriguez's Alita: Battle Angel hits theaters. This could be the first real hit of 2019. Next among new releases in the US is Fox International and Sony subsidiary Funimation Films' Dragon Ball Super: Broly. It took fourth and made $12.5 million over the four-day weekend – $22.7 million in its first six days of release. This entry is the 20th feature film to come out of the Japanese born worldwide anime phenomenon called Dragonball. The series started as a weekly comic book in 1984 and has turned into an international super-franchise with TV shows, films, toys, video games, trading cards and more. All of this put together is estimated to have generated $23 billion dollars in sales, making Dragonball a bigger media property than James Bond and just about on par with Batman. It made $88.6 million worldwide so far, most of which will go to international distributor Fox. Next week Matthew McConaughey and Anne Hathaway thriller Serenity opens in US theaters, while Deadpool 2 gets a PG-13 edited China release as Deadpool 2: I Love My Home.